Medical Alert Assistance Dogs are trained to support individuals who manage complex health conditions and have no awareness of an impending life-threatening medical event. With their amazing sense of smell our dogs are taught to identify any minute odour changes that are emitted prior to such an emergency and alert the person to take appropriate preventative action. 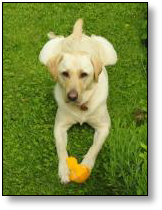 Our dogs are also trained to get help and fetch vital medical supplies, if needed. This early canine warning system has proved to significantly reduce the number of paramedic call-outs and hospital admissions. As well as saving lives on a daily basis our dogs give greater independence and confidence to people and their families enabling them to lead more normal and happier lives. 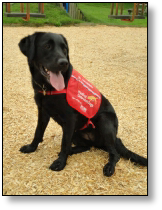 Our Medical Alert Assistance Dogs currently support people with conditions including: Type 1 diabetes, Addison's disease, narcolepsy and severe allergies and we continue to investigate other health conditions which our dogs may have the ability to provide assistance. 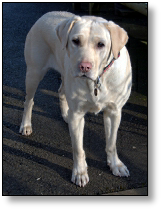 The majority of our Medical Alert Assistance Dogs are partnered with people that, despite best management, live with unstable (brittle) Type 1 diabetes, often unaware when their blood sugar is low. Our dogs help improve both long and short term diabetes management by helping to keep blood sugar levels within a safe range. Having good blood sugar levels over time greatly reduces the risk of diabetic complications, such as amputations, sight loss, heart disease, strokes and renal failure. Hypo unawareness is when a person with diabetes, is unable to notice when they have hypoglycemia (low blood sugar). If left untreated this condition can be dangerous and become life-threatening. An inability to detect a hypo is common in young children and adolescents as a result of their stage of growth and development. In the short term, our cancer dogs could provide additional screening for cancers that are currently difficult to diagnose reliably, such as prostate cancer. Early diagnosis dramatically improves the long term prognosis of cancer patients. Our pioneering work could help to speed up the screening process that will impact on thousands of lives. We have already published several scientific papers describing recent studies to demonstrate that dogs could identify the unique odours associated with certain types of cancer. 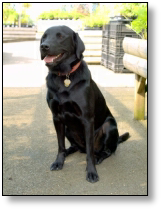 We are currently studying the ability of dogs to detect breast and prostate cancer from breath and urine samples, respectively and have a multi-disciplinary team of eminent academics working with us. Pauline and Richard have taken on the task of socialising dogs from the Medical Detection Dogs charity. You will have seen the dogs with Pauline and Richard around the Garden Centre for sure, in their distinctive red jackets with the Medical Detection Dogs charity. The dogs below are those that Pauline and Richard have been involved with socialising so far. Please click the picture or the link to find out more about these wonderful animals and the training that Pauline and Richard have to do do with the dogs they are socialising so they are ready when a client is found that is suitable.